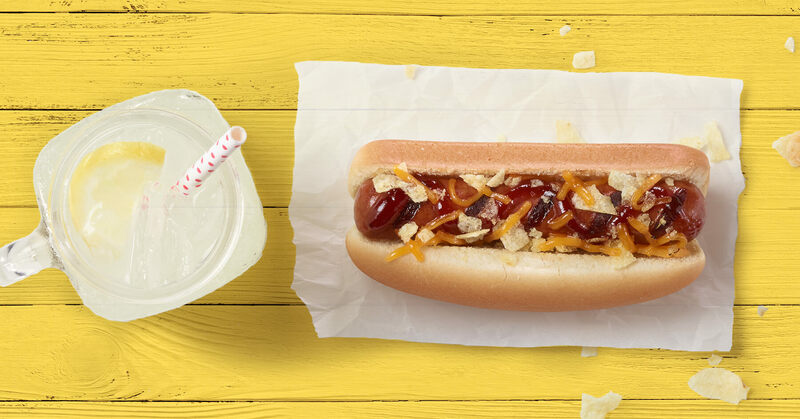 The BBQ Dog is here to level up your lunch. Give this recipe a go with our Gwaltney Great Dogs. Cook up Gwaltney Great Dogs on the grill, stove, or in the microwave. Place hot dog in bun, and spread BBQ sauce on top. Top with shredded cheese and crushed chips.